Our 5 star accommodation in Airlie Beach is located on the waterfront of the Coral Sea, with views overlooking with Whitsunday Islands and Abel Point Marina. 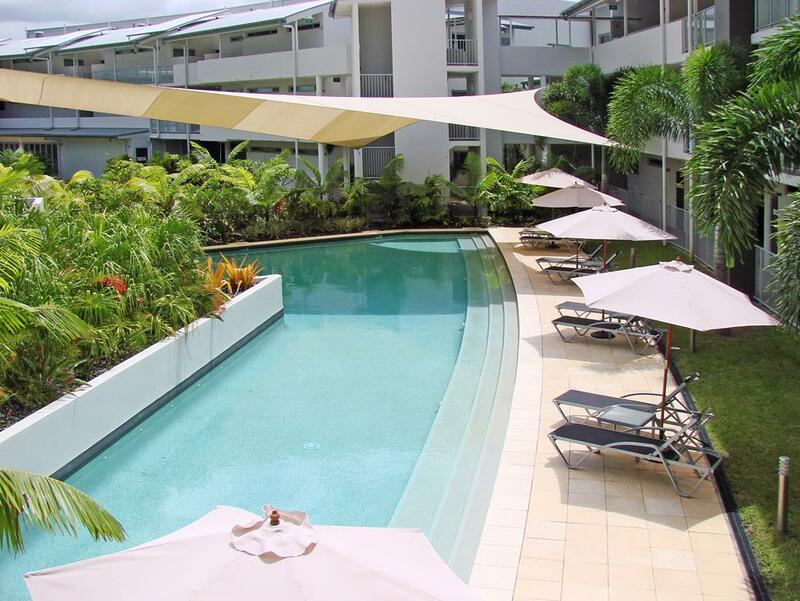 The apartment-style hotel boasts a combination of stylish 1, 2 and 3 bedroom Airlie Beach apartments and penthouses, all with spacious private balconies. With stylish features and first-class facilities, our 5 star accommodation in Airlie Beach offers you the ultimate haven for total relaxation. With the Great Barrier Reef, one of the world’s greatest natural wonders on the doorstep, Marina Shores features a contemporary theme with gently white curving forms ensuring wide frontages to complement its ocean front setting. Boasting a dramatic 30 metre pool and tropically landscaped gardens, Marina Shores offers some of the most picturesque 5 star accommodation Airlie Beach has on offer. Located just steps from your Airlie Beach luxury accommodation is the popular bicentennial boardwalk, which leads to Abel Point Marina where all the main operators depart for tours out to the Great Barrier Reef, Whitehaven Beach and the Whitsunday Islands. Further along the boardwalk from your well-positioned Airlie Beach luxury accommodation is the cosmopolitan village of Airlie Beach, famous for its restaurants, bars, nightlife and shopping. Airy bedrooms, with plenty of wardrobe space, luggage storage and cozy beds.